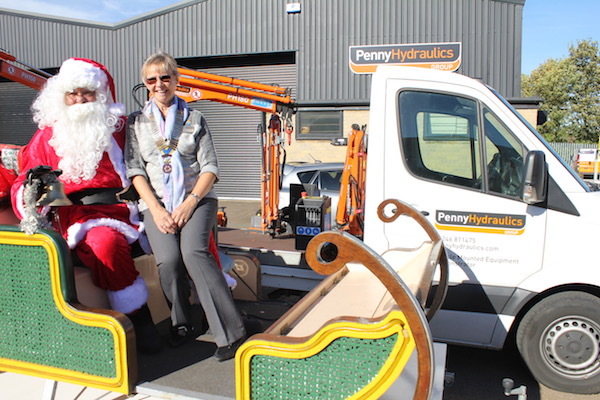 Santa made an unusual out-of-season visit to Derbyshire on Tuesday 9 October. 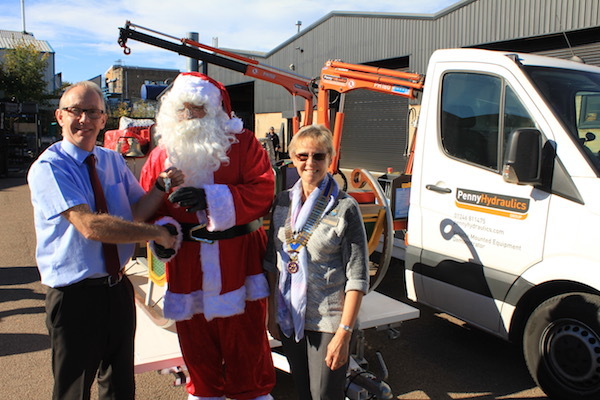 He was here to receive the keys to his new sleigh ready for the busy Christmas rounds to get underway. 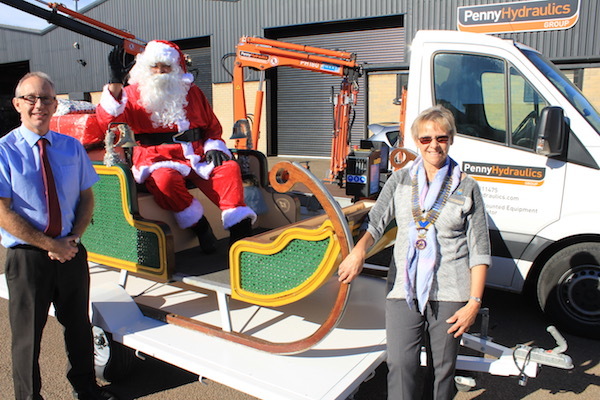 He was supported by members of the Rotary Club of Bolsover, and he was overcome with excitement at the generosity of Tim and Robin Penny of Penny Hydraulics Group who have built and donated the new trailer. Rotary Club President Margaret Scott said “We are very grateful to Tim and Robin, and their team at Penny Hydraulics who have done a tremendous job in giving us this new trailer. It is amazing what local businesses will do to support their local communities. This generous gift will enable us to continue to raise money to help those in need in Bolsover, Clowne and the surrounding areas, for many years to come. Santa will be out in his new sleigh for the first time at the 25th Bolsover Lantern Parade on 1st December. Why not start your Christmas then, and pay him a visit.